In March, a previously healthy 18 year old student was diagnosed with malaria after presenting to hospital in BC with a 1 week history of fevers and chills. His fevers began 3 weeks after returning from Indonesia where he traveled for missionary work with his church group. 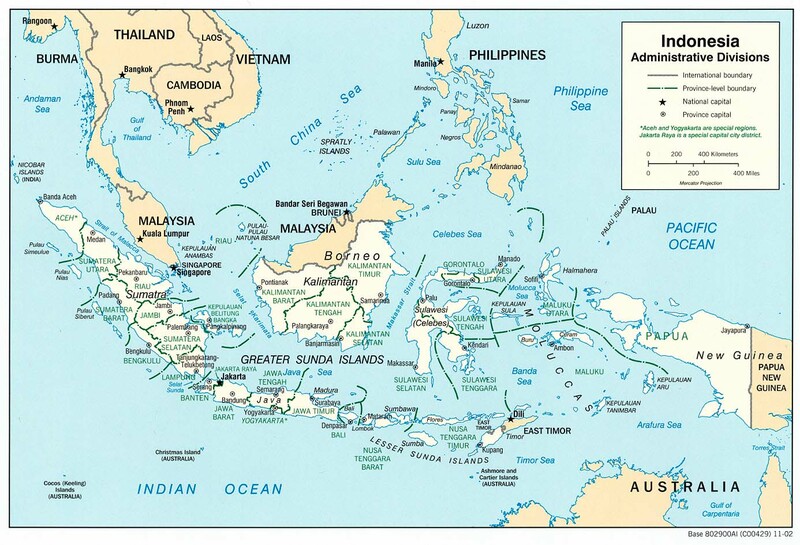 He spent 8 weeks in Indonesia; the first 4 weeks visiting rural communities on the island of Borneo, and the next 4 weeks in the larger city of Jayapura on the island of Papua. He recalled many mosquito bites during his travels, especially in the evenings when he spent time outdoors. He took mefloquine for the first 2 weeks and then changed to doxycycline on the recommendation of his church group. He continued the doxycycline daily until the day he left Indonesia. 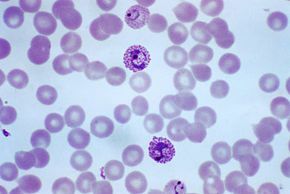 His blood smear demonstrated Plasmodium vivax trophozoites. There was an estimated 0.5% parasitemia (20,000 parasites/mcl). The Plasmodium falciparum histidine-rich protein 2 (PfHRP2)-based rapid diagnostic test (RDT) was negative. He was treated with quinine + doxycycline x 1 week. He completed the course, his fevers resolved, and his parasitemia cleared. He was then given primaquine (PQ) 30mg daily x 2 weeks. 1st relapse: 1 month later (April) his fevers recurred and malaria smear was again positive. He was retreated with quinine+doxy and another course of PQ 30mg daily x 2 weeks. His symptoms resolved and his parasitemia cleared. 2nd relapse: 1 month later (May) his fevers recurred and malaria smear again positive. This time he received chloroquine (CQ) followed by another course of PQ 30mg daily x 2 weeks.His symptoms resolved and his parasitemia cleared. 3rd relapse: 1 month (June) later his fevers recurred and malaria smear again positive. He was treated with mefloquine (MQ) + doxy, followed by another course of PQ 30mg daily x 2 weekly.His symptoms resolved and his parasitemia cleared. To prevent relapse he was then prescribed CQ prophylaxis (300mg once weekly). 4th relapse: 2 months later (September). Fevers returned after he was late for his weekly chloroquine dose by just 48 hours. His blood smear was again positive for P. vivax. He was treated with atovoquone/proguanil (malarone) 4 tabs daily x 4 days. He then resumed chloroquine 300mg/week. There is recent evidence that primaquine “resistance” may be associated with a slow metabolizer phenotype – a lower level of cytochrome P450 2D6 enzyme activity that impairs the individual’s ability to metabolize primaquine to its active form. Bennett et al. NEJM 2013, 369:1381. Given his reduced but not absent CYP2D6 activity, a final course of prolonged, high dose primaquine was recommended. In September, after his 4th relapse, he was treated with PQ 60mg/day x 2 weeks. He weighs 90kg. He took the tablets with food and tolerated the medication without any reported GI upset or other adverse effects. He has subsequently remained well and has not had any further relapses after one year of follow-up. Resistance to primaquine is a difficult entity to quantify. The existence of slow-metabolizer phenotypes raises serious concerns about the use of primaquine for prophylaxis of malaria. There is an increasing clinical role for genetic testing for enzymes for drug metabolism.